Tiny red-gray chips of unburned super-thermite were ejected by the thermite that did explode and cut through WTC steel columns. The molten steel solidified into micro spheres of iron that mixed with the chips and shatterd concrete to form the thick dust that blanked New York after the demolition, and caused health problems for rescurers and residents as feared by the EPA. These images were acquired by Dr. Steven E. Jones from four widely dispersed locations of the dust of the World Trade Center. Eight years after 9/11, a growing organization of building trades professionals suspect that there was more to the event than the government will admit. JUST A FEW YEARS ago Ed Munyak, a fire protection engineer for the city of San Jose, seemed like a lonely, out-there figure, a sometimes-target because of his outspoken position on the events of Sept. 11, 2001. These days, hundreds of other building trade professionals have joined him in challenging the official narrative about the collapse of three buildings at New York's World Trade Center (WTC) on that fateful, traumatic day. Munyak, of Los Altos Hills, is a mechanical and fire engineer whose job is to review building plans to ensure they comply with the California Building and Fire Code. In 2007, after speaking out on his own for a few years, Munyak signed on with a then-fledging organization called Architects and Engineers for 911 Truth (AE911 Truth), founded by Bay Area architect Richard Gage. Today, far from being isolated, Munyak now counts as allies 804 professional architects and building engineers from around the country. Collectively, they have joined Munyak's call for an independent technical investigation of the causes of the WTC buildings collapse. In doing so, they reject the federal government's conclusions that two airplanes alone brought the buildings down—without the aid of pre-planted explosives. Munyak and his fellow AE911 supporters recently received acknowledgement from the FBI's counterterrorism division, which concluded that the organization's core evidence deserves—and will get—FBI scrutiny. In a letter, Deputy Director Michael J. Heimbach assessed AE911's presentation as "backed by thorough research and analysis." Munyak and his professional allies insist that they are not conspiracy theorists, and they refuse to speculate on the "why" or "who" of 9/11. Munyak described their basic position in an interview with Metro. "Buildings do not fail from fire related causes in the way that World Trade Center 1, 2 and 7 failed. Steel frame or composite steel buildings, modern high-rise buildings—they just do not collapse catastrophically like that. It's impossible. "Only if you sever columns in some other way will those buildings collapse. It takes too much energy, and that energy was not there even with adding in all that jet fuel. It defies all engineering analysis and theory that those buildings collapsed in that manner. It just doesn't make any sense." Apparently reinforcing this position, a team of three scientists working at technical laboratories in the United States and Denmark reported in April that analysis of dust that they say was gathered at the World Trade Center found evidence of the potent incendiary/explosive "super thermite," used by the military. The re-investigation movement received attention this week after it percolated into the high ranks of the Obama administration. The President's green jobs advisor, Van Jones, resigned on Sept. 5 amidst a controversy over his statements about Republicans and his endorsement of a 2004 statement by the group 9/11 Truth.org, when he was head of an Oakland non-profit organization. The letter, signed by more than 100 official-version doubters, called for "immediate public attention to unanswered questions that suggest that people within the [Bush] administration may indeed have deliberately allowed 9/11 to happen, perhaps as a pretext for war." BLOWN THEORY: 9/11 Truthers point to photographs and videotape as evidence that explosives were used to destroy the twin towers. San Jose architect Thomas Lyman Chamberlain, another member of AE911 Truth, calls the official account of the 9/11 events "a fraud." "In light of the human life and liberties being taken based on that fraud," Lyman wrote on the AE911.org site, building industry professionals "have a patriotic duty to invoke their credentials on behalf of the victims and the integrity of our nation." Chemical engineer T. Mark Hightower of San Jose, a member of the American Institute of Aeronautics and Astronautics and of the American Institute of Chemical Engineers, agrees. "It is clear that the buildings had help to bring them down," he says. AE911 Truth has grown rapidly, igniting a struggling grassroots movement of hundreds of other "9/11 Truth" organizations, and spearheading a growing assault on the official story. In recent years, other single-profession 9/11 Truth groups have launched or gained momentum, including those comprised of airline pilots, firefighters, veterans, medical professionals, scholars, lawyers, religious leaders and former government employees. Also individually calling for a new inquiry are two dozen retired U.S. military brass and eight former U.S. State Department officials, along with a number of Republicans who have served in high federal positions since President Reagan, including former Assistant Treasury Secretary Paul Craig Roberts and former Reagan administration Assistant Defense Secretary (and retired Marine Corps colonel) Ronald D. Ray. Activists around the country attribute AE911's professional credibility and its unwavering focus on the WTC as the fuel that has galvanized the movement. David Ray Griffin, the retired Santa Barbara philosophy professor and theologian who is perhaps the leading intellectual force within the Truth groups—with seven 9/11 books to his credit, including The New Pearl Harbor—notes that it "is possible many of these organizations wouldn't even have formed without AE911 first being there." "AE911 represents the biggest boost yet to the credibility of the 9/11 truth movement," Griffin says. "It is clear there are far more architects and engineers who have spoken out against the official story than have publicly supported it." FALLOUT: The government's theory about what destroyed WTC Building 7, which was not hit by a plane, does not satisfy members of AE911 Truth. Crucial elements of the key government study on the step-by-step events that occurred in the collapse of the WTC buildings don't stand up to analytical scrutiny. The study was undertaken by the National Institute of Standards and Technology (NIST), the U.S. Commerce Department agency responsible for building and other safety codes and standards. NIST never tested for explosive residues despite evidence, including many eyewitness accounts from first responders and people who escaped the buildings, that explosives and incendiaries were present. The collapse of the three buildings resembles two different types of controlled demolitions, and not the bending or toppling of a heated building section that might result from a fire. Following the collapses, NIST assembled a panel of more than 300 staff and external experts and spent three years and $20 million on what it claims is the most exhaustive technical study ever of a building collapse. Released in 2005, the initial NIST report concluded that the twin towers, which NIST agrees could not normally be brought down by fire alone, collapsed because of a combination of factors, most crucially the dislodging of fireproofing by the planes' impacts. This allowed certain beams to soften sufficiently to force an inward bending of perimeter-supporting steel beams, putting so much pressure on the fire-weakened—and in some cases severed—center steel columns (three severed in one tower and five in another out of 47 in each) that they collapsed in the areas where the planes had struck. NIST also stated that there was more than enough "mass plus acceleration" of the upper stories of the twin towers as they fell to force a collapse of the lower structure straight down at nearly free fall speed, with each floor adding its weight and the force of its fall to the pressures on the floors below—a theory it argues is supported by elaborate computer models. NIST's report on the third building to collapse, WTC7, released in August 2008, argues that mass computer modeling of existing evidence also fails to support an explosives theory. The report concludes that WTC7 was brought down by seven hours of fires combined with falling debris from the towers that weakened an entire building section and forced the collapse of a key support column, allowing the building to cave in on itself. Poll numbers reflect varying levels of disbelief of the official narrative. The Zogby poll in 2004 found that half of New Yorkers thought that U.S. officials knew the terrorist plot was going to unfold and consciously failed to act. The New York Times and CBS News commissioned an Angus Reid Global Monitor poll in 2006 and found that 80 percent of Americans thought President Bush was at least hiding something regarding 9/11. In 2006, Popular Mechanics magazine published a study debunking critiques of NIST, most notably the assertion that explosives brought down the Trade Center buildings. All this was before engineers, scientists and architects began to organize and present evidence challenging both the official narrative and Popular Mechanics' defense of that narrative. Within his 20-year career, Richard Gage counts among his accomplishments the design of numerous fireproofed steel-framed buildings. In an interview with Metro, Gage, 53, a lifelong Republican, described having a moment of clarity when he first heard alternative theories of 9/11 presented in March 2006 by David Ray Griffin. As he tells it, he was driving to a construction meeting and crossed the talk radio political divide that day to listen to progressive Pacifica Radio's KPFA interviewing Griffin. "What Griffin was saying is that the ends of these beams that were being ejected out of the World Trade Center at 55 mph were dripping with molten steel, and they landed more than 500 feet away," Gage recounts. The station also played interviews recorded after 9/11, including with firefighters who described hearing explosions and seeing flashes of light that would support an explosives/incendiaries theory. Before this, Gage notes, he hadn't paid heed to the technical details of the collapse or questioned the official story. Particularly striking to Gage was the fact that the taped eyewitness interviews had only in August 2005 been released to The New York Times by the city of New York by court order—nearly four years after 9/11. "This was information that has been hidden by the city of New York, and it became obvious the reason why they hid it," Gage said. "So I began looking at it myself. The more I read, the more disturbed I got, and I realized fairly quickly what I needed to do, and that was to start Architects and Engineers for 9/11Truth." As founder and executive director, the soft-spoken Gage has since become something like a subversive Al Gore, delivering a disturbingly inconvenient PowerPoint presentation that he maintains dissects most of the key elements of the NIST report. Somewhat obsessed with recruiting as many building professionals as possible, Gage left his job and spends most of his time traveling from city to city presenting the core forensic case to bodies of fellow experts and to any groups that will listen. "Most all of the architects and engineers that I present to, once they see the graphic evidence, they are completely overwhelmed, as I was, with the forensic-based scientific facts surrounding this case," Gage says. He gets similar buy-in from nonprofessional groups of all political stripes. Like Munyak, Gage cites the fact that steel framing serves as a heat conductor, actually cooling fires and equalizing the burden on any one steel section. "The steel doesn't get to the temperature that would cause it to weaken," he says. "No steel-framed high rise has ever collapsed due to fire, and we have almost 100 examples." As for NIST's theory that once the towers' impact-area beams gave way, the mass above them would rapidly crush the lower stories, Gage argues that the premise ignores the laws of physics. "No force can crush that kind of a structure at near freefall speed. It's ludicrous," he says. "Not only that, the videos show that 95 percent of the south tower is being blown outside, indicating explosions. And the top of the north tower is being reduced from 15 stories to seven stories before it even starts to drop. Half of its mass is destroyed in the first two seconds. "The remaining mass cannot fall at near freefall speed and crush 80,000 tons of steel and pulverize to powder 90,000 tons of concrete and create tons of molten metal by some unknowable process." Defending the NIST research, spokesman Michael Newman says the agency's computer models were highly reliable in their crucial assessment of the amount of fireproofing dislodged—a factor not present in fires in other steel buildings cited by Gage. NIST, supported by a number of independent building and explosives professionals who are critical of AE911, also stands behind its theory that the impact of the upper floors crushed the lower ones. "Basically, gravity and the utter force of the upper floors forced the towers down," Newsman says. "If you have 20 floors of mass suddenly released, as it goes downward it picks up more mass and more force—and, yes, you can have a building collapse in 10 seconds, and yes, it is physically possible. "We believe that three years of hard scientific technical investigation based around a tremendous amount of evidence and confirmed by many physicists will give you the same conclusions." Newman adds that while the force of the collapse created air pressure that blew debris outward, mimicking what Gates argues are explosions but which NIST says were not, there was more than enough mass still descending straight down to hammer the lower floors into collapsing one by one, each failed floor then adding to the descending mass. However unquestioningly the public, media and government may have accepted NIST's conclusions ("I saw the planes hit the buildings; what else could have brought them down?" is a common refrain), Gage and his "not-so-fast" colleagues argue that they easily found flaws and ignored evidence in the study. Most prominently, the 47-story steel structure Building 7 was never struck by a fire-proof dislodging plane but collapsed anyway. Newman says NIST believes that any molten metal sightings, including metal seen pouring from the south tower, were likely molten aluminum from the airplane. Moreover, he says, NIST was not presented with evidence of molten steel, and if some melted, this occurred after the event, in fires underground, and was not a contributing factor to the fall of the building. Gage dismisses this as "impossible without a source of oxygen such as thermate," adding that molten metal seen in NIST-cited videos isn't the color of molten aluminum. The 9/11 Truthers also respond that most of the steel evidence was carted away rapidly and recycled in China before it could be examined to prove either melting or NIST's key theory of dislodged fireproofing, and consider this "destruction of evidence." Supporting AE911's theory is Dr. Steven E. Jones, a nuclear physicist known for his work in cold fusion. Jones says he was forced into early retirement from his position as a professor at Brigham Young University because of his work attempting to show that powerful explosives were present in the WTC towers. After Jones initial analysis was harshly criticized for flaws by BYU's own building engineering department, Jones and other scientists co-authored a new critique accepted for publication in the peer-reviewed New Civil Engineering Journal that mentioned thermite as a potential culprit in the building collapses. This was followed by a research paper published last April. 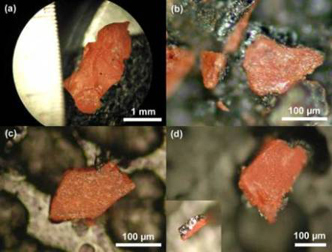 Co-authored by Jones and associate professor Niels Harrit of Copenhagen University's famed Niels Bohr Institute in Denmark, and by Dr. Jeffrey Farrer, lab manager for BYU's Transmission Electron Microscopy lab, as well as four other researchers, the paper provided vivid microscopic photo evidence of highly flammable red-gray chips that the authors say appear to be super thermite found in four different reputed WTC dust samples sent to Jones by suspicious New Yorkers who had collected them shortly after 9/11. Thermite, a mixture of aluminum powder and iron oxide, is known to burn through steel. Adding either silicon, magnesium or titanium to the mixture makes it thermate or "super thermite," a substance with an accelerated capacity to cut through steel. According to Gage, "the military uses it to cut through steel like a hot knife through butter." "Dr. Jones found the chemical signature of thermite," Gage says. "So, the evidence all ties together to support the hypotheses of a controlled demolition." In an interview with Metro, Jones said his and his colleagues' microanalysis of the four different samples of dust collected from various sites in lower Manhattan revealed not only extensive presence of red-gray chips of unignited thermite, it also found significant traces of microspheres of previously molten iron that are normally the product of incendiary explosions far hotter than jet fuel fires. "What strikes me as odd," Jones said, "is that these red chips we found are so striking, and yet no one has reported their presence before. These red chips are very unusual and very prevalent, and they test out as being consistent with a form of thermite. We can ignite them, and they react very violently when touched off. So how do you explain their presence in the towers' dust? "USGS [the U.S Geological Survey, which did some testing on WTC dust for NIST] has a lame explanation for not looking for this. I have been encouraging them to test early dust samples, but they haven't responded." Jones said he sent a letter in April 2008 to NIST about his findings, inviting it to test its own dust for such chips. In public comments since, NIST has dismissed his research as not scientifically valid, because Jones can't prove the "chain of custody" of the dust he tested. Other groups, notably contributors to AE911.info, which supports the NIST findings, argue that neither the samples nor Jones tests are reliable. Jones simply says: "They don't need my dust to test. They have plenty of dust of their own where they know the chain of custody. They just won't test it." Gage, Jones and other critics cite other official evidence possibly pointing to explosives including the fact that iron-rich microspheres were found in tests by USGS and RJ Lee Labs. Says Gage, "In the twin towers, it's very explosive. You can see the explosions in all the videos, and what's happening is the explosions are creating this incredible dust cloud. The dust clouds are forming immediately. 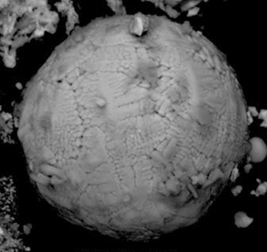 In the dust from the WTC, you have millions of these tiny, perfectly spherical microspheres of iron. Now, where did they come from? "The only way they could have been formed is to have molten iron and then a series of explosions whose incredible force atomizes, if you will, the molten iron." cutting steel. "Problem is that we have samples from long before the cleanup began," he says. Gage and other Truthers point to other indications of explosives. Besides vast mushroom clouds of dust and debris exploding outward at the top of both towers, videos show squibs that appear to be many small explosions. Moreover, like some first responders and escapees, in some cases live on-air broadcasts reporters joined in describing the explosions. According to Newman, NIST studies showed that the apparent explosions and squibs were actually compressed air from the force of the collapse finding openings and blowing debris and dust outward in an explosive manner. Eyewitness accounts of explosions, he says, weren't evident in 10,000 interviews NIST conducted, and a few such reports were readily explained by other phenomena. "No one gave us any evidence that there was any kind of explosive," Newman says. Nor did NIST find evidence of a "severe high-temperature corrosion attack," he says, noting that sulfur and manganese were heavily present in building materials and that any corrosion might have occurred in the debris pile after the buildings' collapse, due to the conditions there. AE911 critics support NIST with an argument that explosive sounds likely derived from electrical and air-conditioning transformers exploding, the sound of floors collapsing onto each other, or rivets popping all at once as the pressure got to them. "The way I see it, it had to be the rivets," the online Journal of Debunking 9/11 Conspiracy Theories quotes one firefighter saying. "So why didn't we look for explosive residues in the towers?" Newman asks rhetorically. "Because there was no evidence saying go that way. There was a lot of evidence saying look at the impact of the plane, the loss of fire-proofing, the bowing of the perimeter beams, which was the final straw that broke the camel's back." Even so, why not test debris—a relatively simple operation—to put the question fully behind and silence critics? Newman says NIST did calculate the quantity of thermite that would be needed—and found that it would require a tremendous amount in each column to get it to melt. Newman acknowledges that NIST's response that it sees "no need" to test dust for any form of thermite won't satisfy critics, and adds: "We don't try to debate or argue with these folks because they have their opinions and what they believe is evidence, but to us it is counterproductive to engage in debate. "We'd rather let the body of evidence we presented stand on its own merits. We feel this is a very good piece of work—in many ways pushing investigations way beyond what's gone before. Our work is to help strengthen buildings, and proof of the validity of our research is that most all our recommendations for changing building codes have been accepted by the international organization that models building codes. That wouldn't have happened if they doubted our findings." Gage and his allies say that Newman is one among a group of government-dependent employees fearful that evidence of explosives would be too traumatic for the public to handle—and probably too risky to their political superiors. Notably, however, unlike with, say, Environmental Protection Agency research on WTC toxins, no whistleblowers have emerged to lend credence to that theory. Not one NIST scientist or technician has protested the findings or leaked an accusation that the NIST report was influenced by political pressure. Ed Munyak, who is more nuanced than Gage in his critique of NIST, concedes that the NIST report actually provides some evidence supporting alternative theories of the WTC collapse. Munyak argues that top-down influence shows up in the overall presentation of the report to the public and its final conclusions, not in all its details provided by working technicians and scientists. "There is some very good information in the NIST report if you really look at it and analyze it, as I've done, that makes the case that something else happened," Munyak says. "The report [conclusion] says there was one structural failure and after that happened, collapse was inevitable. Which just is not the case. I'm saying that's the falsehood of the NIST political leaders, not so much the people who do the research." "The fact is that the collapses don't resemble any fire-induced behavior of structures, but it exactly mimics a controlled demolition, so why not investigate that? It's all very suspicious and that's why an independent investigation is needed so we can all learn from this." LA Weekly founder Jay Levin is writing a book about the WTC scientific dispute. Tom McKenzie is a freelance reporter.